Nutritional Supplement Product Investigation Saves You Time and Money! PHOTO ABOVE: Montiff - 50 years of rare integrity and excellence! (For greatest benefit, buy from a distributor who gets the freshest formulas direct from Montiff). In response to a reader's question, I just did some very thorough sleuthing work investigating a product and the company that makes it. The search to find a substantive answer to 'What do you think of product X?' and to write out helpful replies to half-dozen questions took me over an hour! I went to seven websites, including the company website, looking high and low to try and find an ingredient list for the product so I could begin to evaluate its quality. None to be found - NONE! ALSO - BIG red flag - could not on any of the websites, find the name of ANY person associated with this company. The company info represented it as a legitimate scientific research organization producing high-end supplements. HOWEVER, their page on 'research' contains a lot of official sounding 'scientific' verbiage that when you read through it is vague and senseless. No site except company website recognizing its (bogus) status as a research group - Red Flag! After another few exhaustive searches, using indirect means by typing in company address and looking at info on Spokeo, LinkedIn and a few other such, I found the name of the company owner - actually on Trademarkia. I also found that the other names associated with this company were all same last name. The company owner had created 10 companies to sell same product - all in existence for only ONE year! Hmmm…something smells fishy here. Not only that, but the company trademarks which had been in initial stages of creation had all been abandoned and no record of 'first use,' or other utilization of the proposed trademark (needed to complete process of trademark creation). The 'professor' who was named as chief researcher could not be found associated with any institution of learning or as a recipient of any kind of scholarly credentials. Never found list of specific ingredients - just vague description of 'crystalline amino acids in ideal proportions.' A list of Amino Acids purportedly included (but no definitive statement that they actually are) was accompanied by info on benefits. Same formula for EVERYONE?? Don't think so! 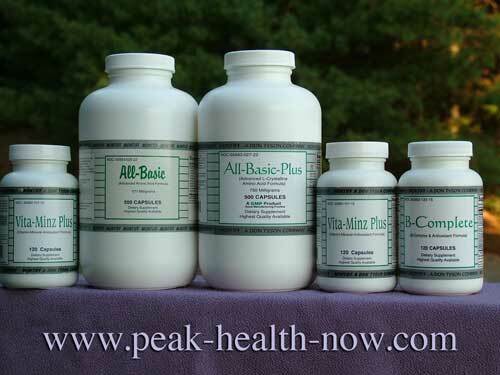 Individuals have varying needs for more or less of any amino acid. (Try giving significant amount of Tryptophan to a person on SSRI (selective serotonin reuptake inhibitor) and you could land them in the ER)! The company seems to sell versions of the product meant for a variety of purposes - sports nutrition, disease and injury recovery - but since no indication of specific ingredients appears anywhere - maybe the same formula is in all the different formulas?? OY! (Excuse me, this kind of chicanery makes my blood boil)! This same reader then asked me about a second product - a brand of Chlorella HIGHLY recommended by a naturopath she knows. Upon investigation, I found this Chlorella is grown INDOORS - sunlight is absolutely needed for you to get the benefits Chlorella is known for!! That info is on my pages on what to look for in a quality Chlorella. I don't know if my reader took the time to read through the info it took me so long to write and build into a page. The Chlorella brand in question mentions it is produced in indoor pools, among a lot of other info, so I understand how my reader could have overlooked it. The Chlorella brand in question is advertised as being made for a company that is EXTREMELY concerned with providing the best quality. Apparently the owner needs to get an education. More time, more emails. Nearly 2 hours! I have done this many times - spent LOTS of time investigating product quality of various brands - many of which I never heard of in my 40+ years of involvement with the supplement industry. SO - I am happy to evaluate any product for you - if you want to employ my investigative skills and time. Your nutritional supplement product investigation is done through email.